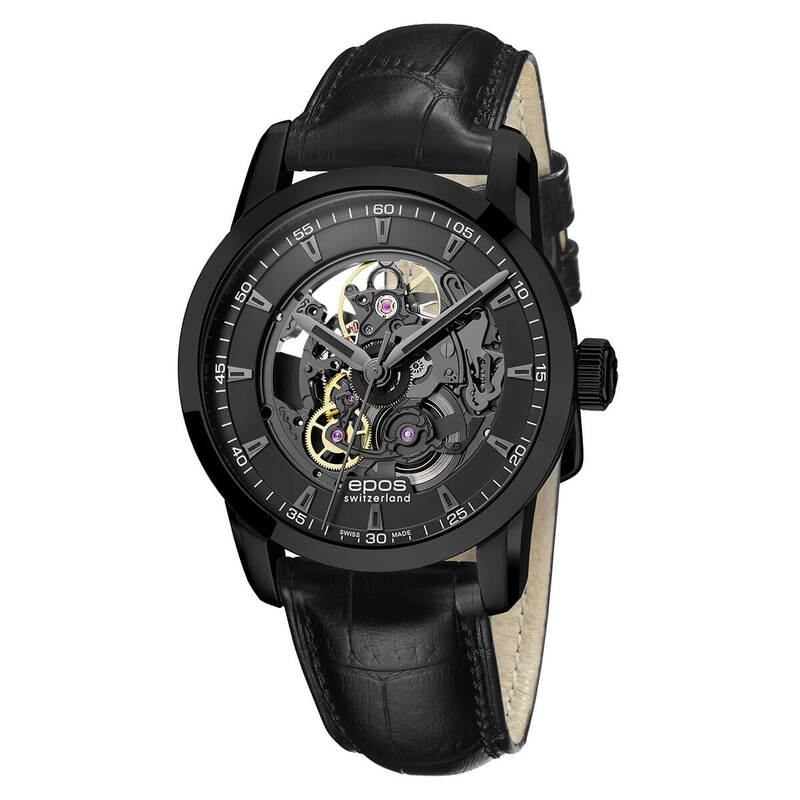 Automatic black skeleton watch with black hour markers and black lume. Fully skeletonized SW200 movement with engravings and special black treatment. 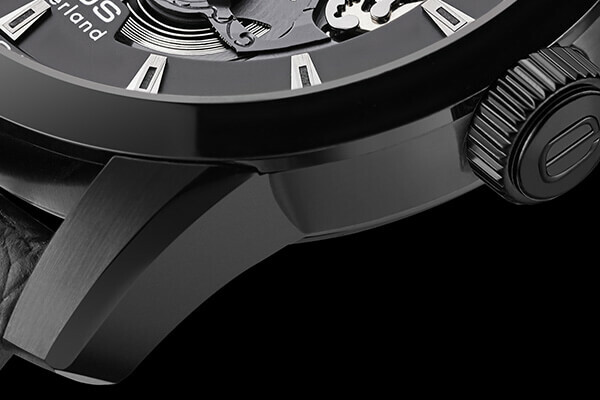 The elaborate Sophistiquée case design with brushed sides and polished beveled angles gives this timepiece a distinctive luxury look. 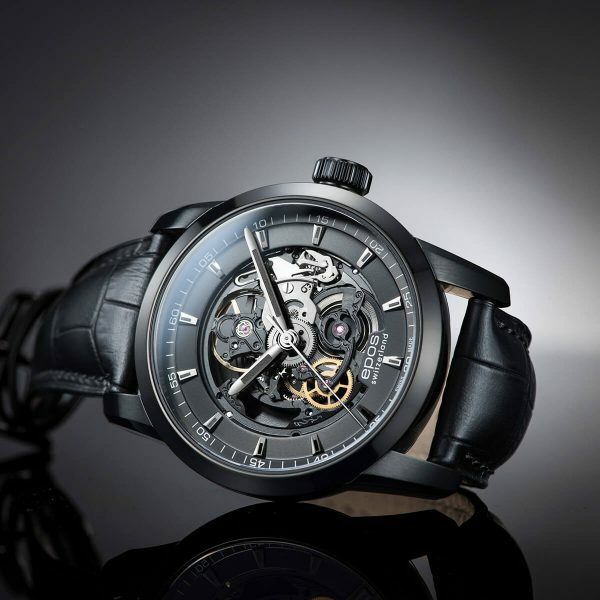 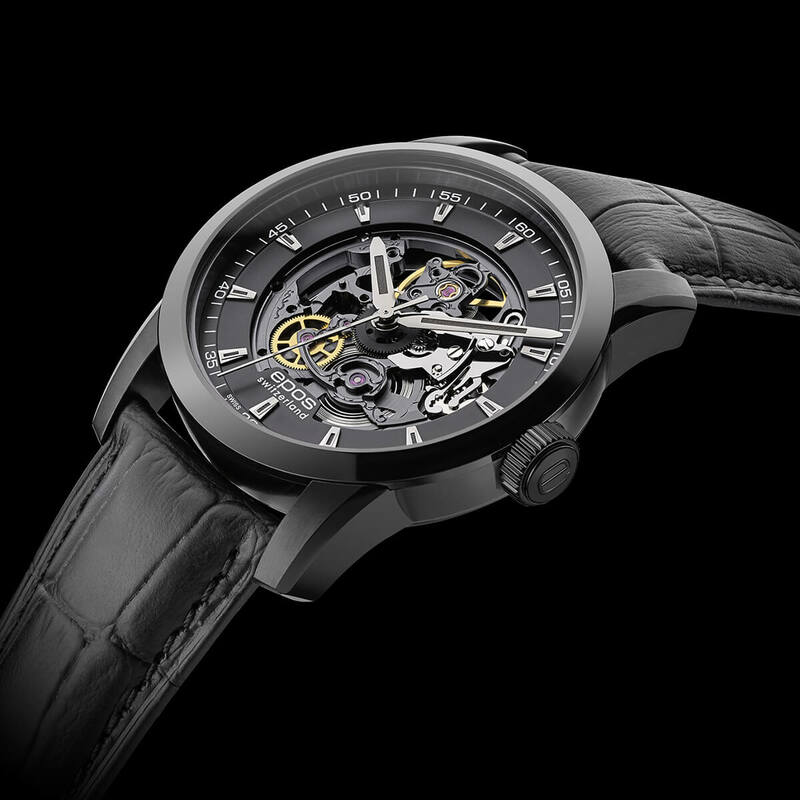 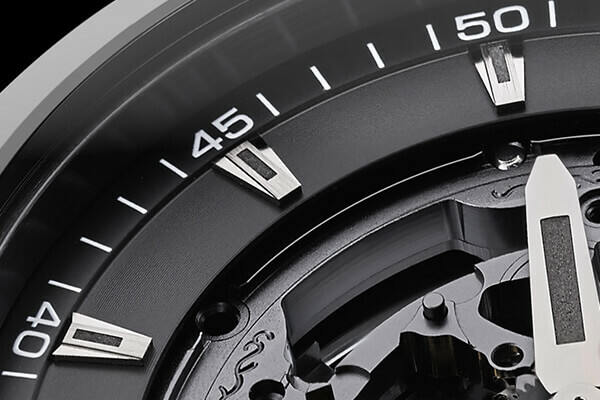 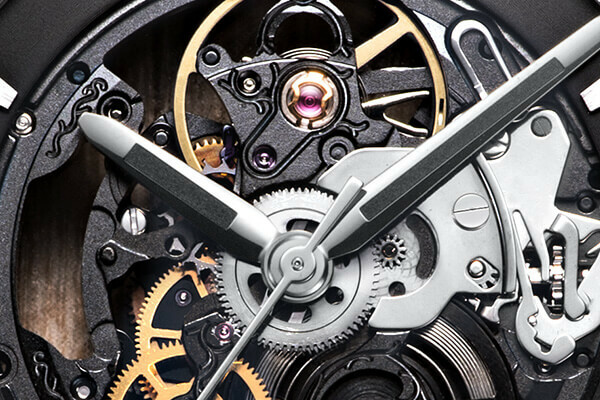 Skeletonized dial with applied hour indices and black luminescence to complete the all-black look.